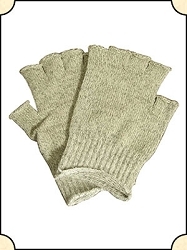 Ideal outdoor wear when the weather is nippy, but for those who need the sense of touch by having their fingers exposed. 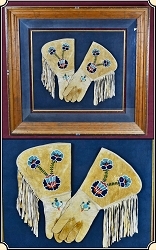 Framed Hand made Leather Gauntlet Gloves made of Brain tanned Buckskin and hand beaded. A sign of true refinement soon to be forgotten on the early frontier.